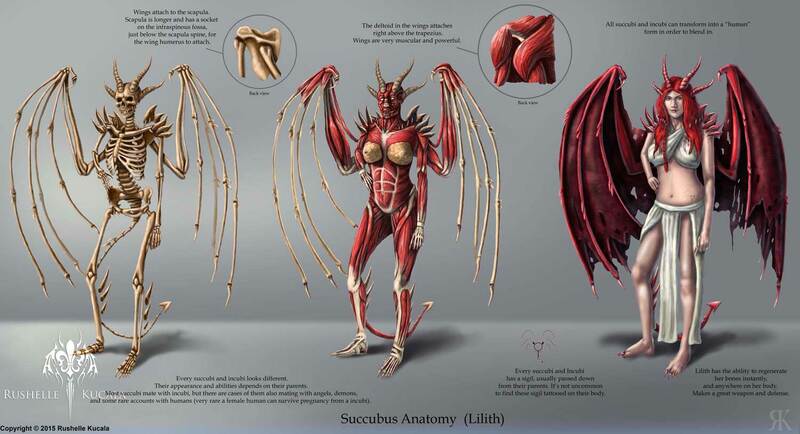 So for my Intermediate Anatomy final project I decided to do a anatomy study on a succubus, my character Lilith. It was a fun challenge figuring out her skeleton, how her wings would work, and her muscles. Also added some information on my succubi/incubi mythology.